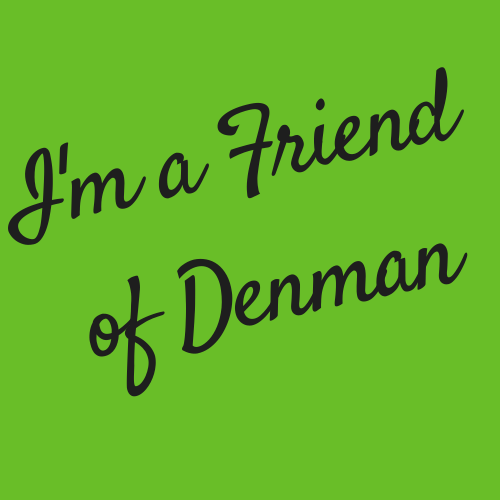 Join us for the FIRST EVER Friends of Denman weekend! This exclusive event is only available to current Friends of Denman! On Friday night, you'll have a chance to meet the Denman team, with a glass of prosecco, before a fantastic dinner and evening talk by Katherine Bradley on 19th Century Women Travellers and Explorers. On Saturday morning, you'll kick off the first of three, three-hour workshops! (More on this below!) We've selected some of our newest tutors and newest subjects - just for you! On Saturday night, after a delicious and special dinner - you'll be treated to even more entertainment! We'll even be giving you a little present to take home to say thanks for being our Friend. As a Friend of Denman, we want you to feel that you are important to us, so we hope you're able to join us! As you know, there are only so many bedrooms at Denman so we do hope you book asap to avoid any disappointment! *Please note that the price says £370 to allow for your automatic Friends of Denman discount, therefore the total payable for this weekend event will be £333. Don't be afraid - vegan cuisine isn't what you think it is! Join Ashley to create some delicious, seasonal balanced meals. You'll leave inspired and able to create dishes that aren't just made with Quorn! Inchies’ are small, creative squares, and are a new and growing trend in the world of mixed media art. In this workshop, you will be presented with a different range of techniques and designs working in shades of white only that will excite and inspire you to create your own versions of these miniature pieces of art. Build up your own collection, transform them into a contemporary pin squares for your quilting pins, or join 9 together to make an interesting centre for a cushion or a book cover or use them to decorate bags, purses and keyrings. The possibilities are endless! Learn how to cut stained glass to a template pattern, and then glue it into place. You will fill in the remainder of your mosaic with small glass pieces, incorporating a few of your own design elements. Additional cost of £10 per person for materials. Explore the creative fun and enjoyment of lino cut printmaking. Create your very own greeting cards, prints and more. Plenty of opportunity to explore a variety of techniques, tools and styles. There are 20,000 different publications covering every profession, hobby and lifestyle, and they need writers either on a permanent or freelance basis. This workshop includes guidance on everything from generating ideas and what makes a great story to asking the right questions, writing and editing. We will discuss journalistic skills, good and bad taste, and the newspaper and magazine industry. You will be given feedback on your writing at every stage and also the confidence to approach editors with your stories. Come and enjoy the work of the funniest women who have worked in comedy. From Hylda Baker to Victoria Wood, women have taken control and created laughs on their own terms. This appreciation course will look at the great women who have made us laugh, whether in front of the cameras, from their typewriters or in the director’s chair. We will watch classic videos and recordings, look at archive material and discuss the changing and growing role of women in comedy. And we will laugh a lot.